Valentine’s Day is traditionally thought to cater more towards women than men. Traditionally, guys are expected to bring their A game while we sit and enjoy the special attention. I don’t subscribe to that “traditional” philosophy. I believe that men like to be shown some love and appreciation just as much as we do, although they may not openly admit it. I’m one of those “Love is a 365 thing” kind of gals, but I certainly take advantage of Valentine’s Day! Having said that, WHAT DO WE GET THEM?? Definitely not flowers & chocolates. And we always buy shirts, ties, and socks, right? Well, I’ve done some investigating and have something you need to hear. 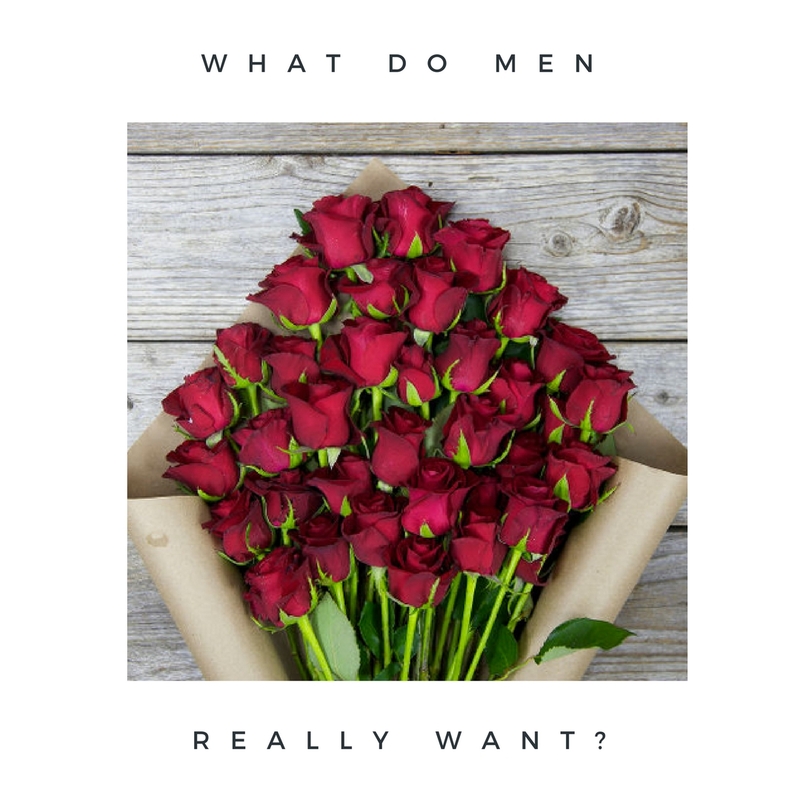 I went straight to the source and asked guys around the city: What is something you would want to receive from your woman for Valentine’s Day? I asked. They answered. So listen Linda ladies. Of course, you know the first thing they said. Insert Kanye shrug. They can’t help it. But if that is your gift, you’ve got to literally dress it up differently. It can’t be the same old, same old. Whisk him off to a suite in the city for a little staycation and add all of the bells and whistles. It’s supposed to be special, right? This is an easy one because there are very few guys that don’t like sports. I’m sure your guy has a favorite team. Get him tickets, the good seats, and let him take whomever he wants. Really wanna get some points, find him tickets in another city for a guys weekend (hopefully not the hangover edition)! I was told “a free day with no responsibilities” would be great. Or take it a step further and give him a day where “she chauffeurs, feeds, and spoils [me]. It doesn’t have to be anything materialistic. Sometimes guys need a break, too.” Maybe we can take for granted what it takes to be a husband/bf/significant other. You could also send him for some services at Baron’s Man Cave (or to another spa) and let him indulge in a little pampering. I thought this was good and everybody wins!! A nice fragrance is the mutually beneficial gift that keeps on giving. I mean, who doesn’t LOVE a guy who smells as good as he looks. Suggestions: Creed, Bond No. 9, and Hermes. I’ll throw in YSL and Tom Ford. Another suggestion was chocolate. But, not just any chocolate, Phillip Ashley Chocolates. A newly released chocolate, The Gimme, is a golf ball collection made specifically with the man in mind. A tasty combination of bourbon and pecan praline is sure to be a treat for him. Add some wine and it becomes a treat for us too. And you know what they say happens when wine and chocolate come together…everything always leads back to the top answer. It just is what it is. Shop The Gimme (and other PA Chocolates) here. This is my favorite way to give a gift. Grab a few small gifts or a combination of big and small, but center them around a theme. Here’s an example, there’s an event coming soon called Cognac, Cars, and Cigars. Buy him 2 tickets, some nice cigars, and a bottle of cognac. All themed up and something he’ll love! I personally did this one last Vday and he loved it. More on the event here. Maybe he’s been eyeing something for a while, like that really nice watch or a suit from his favorite store or tailer. Those sneakers he’s been eyeing and/or the loafers he loved but didn’t buy on the last shopping outing. Scoop it up and make it a total surprise. We love when that happens, and they do too. Guys like gifts that mean something. A personalized gift they can use will be kept forever and it will find a special place in their tough little hearts. Suggestions: Monogrammed decanter for the whiskey/cognac/bourbon enthusiast | Personalized leather toiletry bag for the guy who travels | Monogrammed Watch Case/Valet/Cuff Link Box for the dapper guy | Personalized Team Glasses for the sports fanatic. You can get really creative with this one, too. I’ve made bracelets (which are a hot accessories for guys now) and every time he wears them, guess who he’ll think of. Major points! According to Q, Valentine’s Day is a holiday for equal opportunity love and giving. Let’s stop the cycle of it being one-sided. We now know what they want, so let’s give it to them. And yes, you can give and show love all year + still do something on Valentine’s Day! Cheers! And I can’t wait to hear the stories! Love this Q! These are some great ideas. Yeassss … Thank you. I needed THIS! Glad it helped!!! And thanks for stopping by! Nice! I hope he likes it! Absolutely!! Thanks so much for reading! Awesome ideas. It sounds like a group of classy guys!